Fact: Chicago is weird. Also-a-fact: Illinois as a whole is way, way, way weirder. From a goat tower to an underwater petting zoo, here are the 15 WTF-est things you can check out in the Prairie State. Weird places spring road trip, anyone? Mermet Springs is a full-scale scuba diving site located in downstate Belknap. This spring-fed stone quarry offers visitors much more than just fresh water fish. 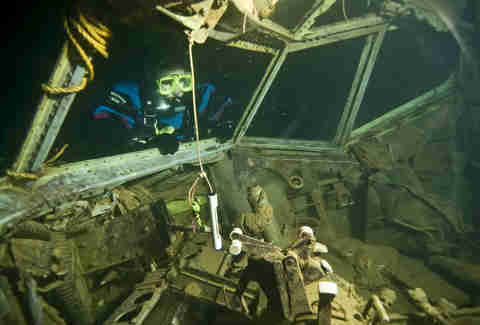 Divers can marvel at all sorts of weird underground debris, including a submerged airplane used in the movie U.S. Marshals, plus visit an underwater petting zoo. Naturally. Enjoy some Southern hospitality while staying in a real log cabin or one-of-a-kind treehouse at Timber Ridge Outpost & Cabins, nestled in the hills of the Shawnee National Forest. 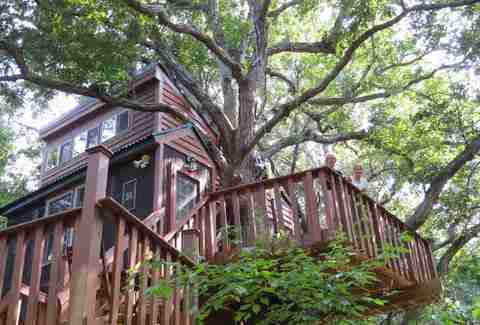 Unlike your buddy's tree fort from middle school with the stack of Playboys/Pogs, these treehouses are equipped with a bathroom, kitchenette, heating, and air conditioning. The Gateway Grizzlies may not be a part of MLB, but they are a professional baseball team based in Sauget. Their fun, 5,000-seat stadium features reserved box seats, lawn seats, a group hot tub with a prime view of the action, and a burger sandwiched between two Krispy Kreme donuts. Just keep yours away from the tub jets. Visitors can discover a creepy collection of fascinating historic torture devices from nearly every corner of the globe at this Alton museum. The horrifying contraptions on display at this museum were once used to punish, kill, maim, terrorize, traumatize, and force confessions. Now they’re used primarily to make your Facebook page look edgy. 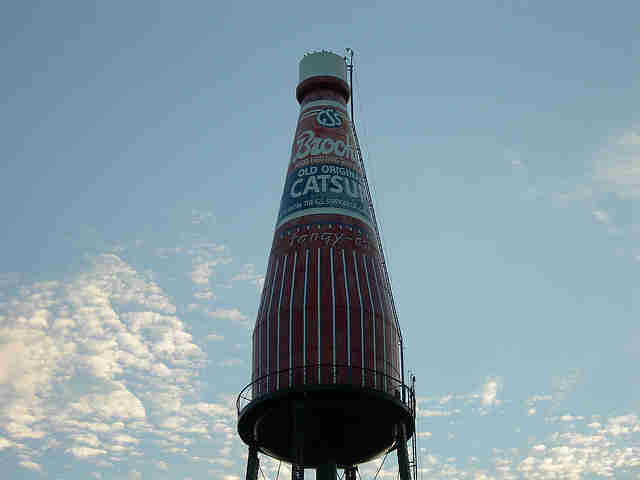 This 170ft-tall bottle that resembles a Brook's Catsup Bottle served as a water tower for the catsup manufacturer for years after being constructed in 1949. Listed on the National Register of Historic Places, the locals are quite proud of their roadside attraction and, besides it being a mandatory photo-op, there’s even a World’s Largest Catsup Bottle Festival every summer. Oh yes. There is. 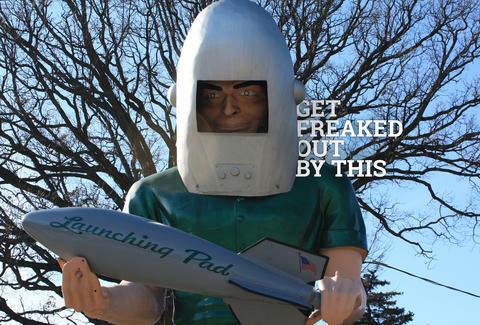 On a roadway littered with weird crap from start to finish, Route 66’s Gemini Giant might be the weirdest of all. The 30ft statue is named after the Gemini space program and apparently was used to move Muffler Man mufflers back in the day. 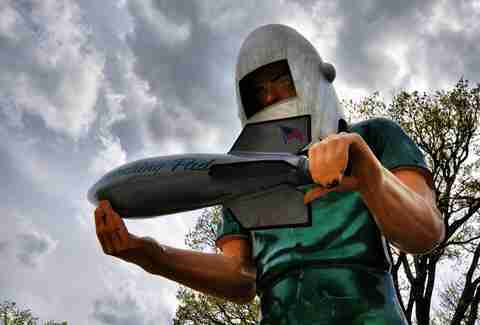 Holding a silver rocket while wearing a space helmet that resembles the kind of welding mask a serial killing welder might wear, the creepiest thing about it might just be the look on his face. Everyone knows Popeye for his love of spinach and odd obsession with Olive Oyl, but did you know that Popeye was also based on a local man from Chester, Illinois? It’s said that Elzie Crisler Segar, the creator of Popeye, based this character on Frank “Rocky” Fiegel. 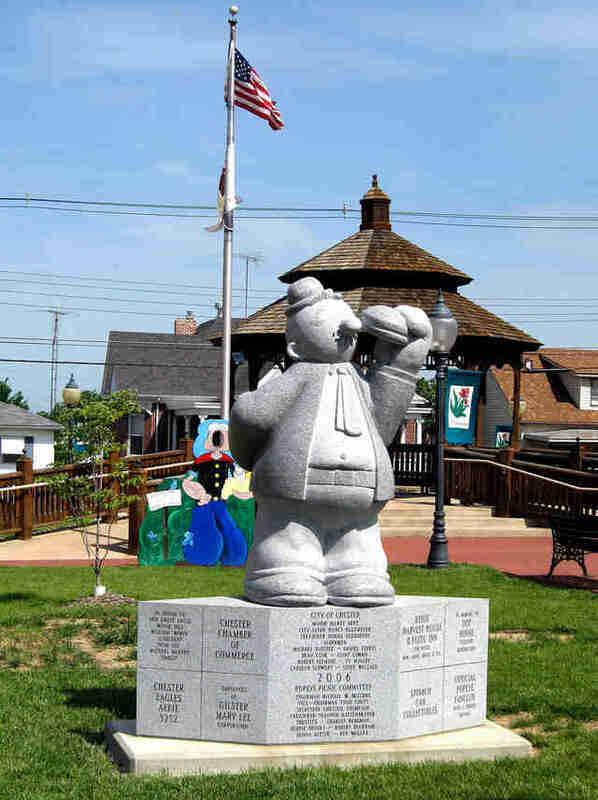 We’re guessing that’s why Chester has its own Popeye “Character Trail,” complete with statues of the comic’s main cast, and the world’s only “Spinach Can Collectibles” museum. You might be wondering what a “goat tower” is. The short answer is that it’s a house for goats modeled after those found in South Africa. 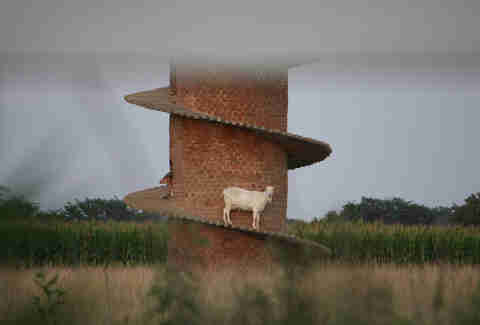 The long answer is that it’s a house for goats modeled after those found in South Africa, but the original goat tower was built in Portugal, and this is the only one to be found in the US. The 31ft tower consists of 5,000 bricks, 276 spiral steps, and yes, live goat inhabitants. The Waldmire Land Yacht is permanently parked behind the Route 66 Hall of Fame Museum in Downtown Pontiac. 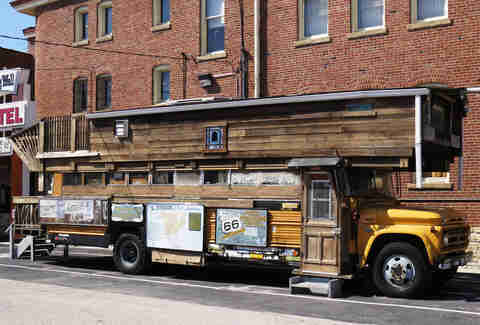 This tricked-out school bus home was created by famed Route 66 artist Bob Waldmire before his death, and sort of looks like an RV crashed into an ancient wood yacht and that crashed into the Deathmobile float from Animal House. 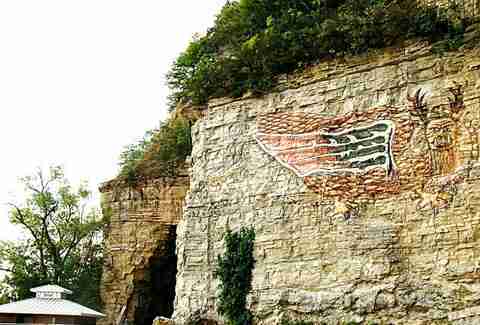 The Piasa Bird is a mythical monster first seen by explorers Marquette and Joliet on the side of a limestone cliff (and is also the mascot of a nearby high school). A large granite arrowhead tells the story of the Piasa Bird which, according to legend, was killed with poison darts by Chief Ouatoga and his 20 warriors. Why? Because they got sick of it devouring people all the time. 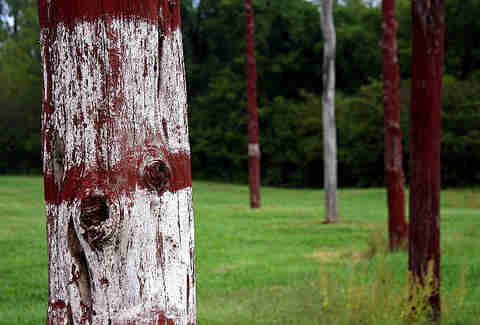 Cahokia Mounds in Collinsville is the largest prehistoric Indian civilization North of Mexico. The decline of Cahokia and the people living there seems to have been gradual, beginning around the 1200s with the site abandoned by 1400, though no one knows exactly what the hell happened to them. Adding to the mystery is a series of circular posts set in pits lined up with the rising sun at certain times of the year, serving as a calendar referred to as Woodhenge. 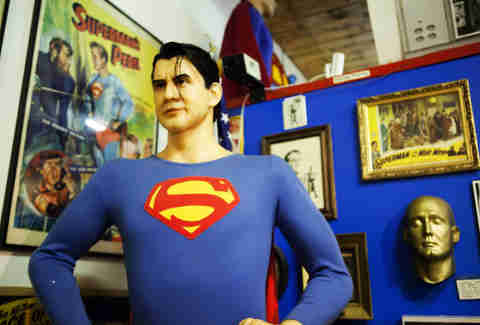 The Super Museum in Metropolis is home to a $2.5 billion collection of Superman memorabilia that spans 60 years. Yes, $2.5 BILLION. If that’s not enough to pay tribute to this famous superhero, visit Metropolis for the annual Superman Celebration in June for a nerd-filled weekend of contests, music, food, a comic book and artist show, fan films, street vendors, a carnival, costume contest, and the Super Car Show. Most famous as the home to the classic Bill Murray flick Groundhog Day, Woodstock offers a walking tour year-round with 15 stops that allows you to relive your favorite parts of the movie. 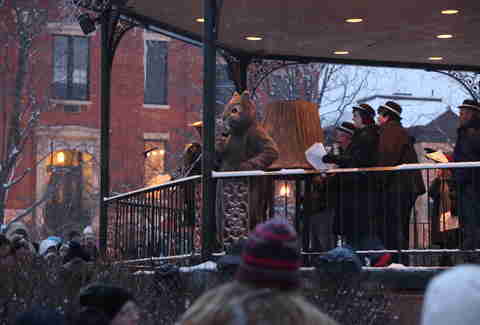 If you’re in Woodstock for actual Groundhog Day, you’ll have the opportunity to enjoy the awakening of the groundhog as well as groundhog bowling and trivia. 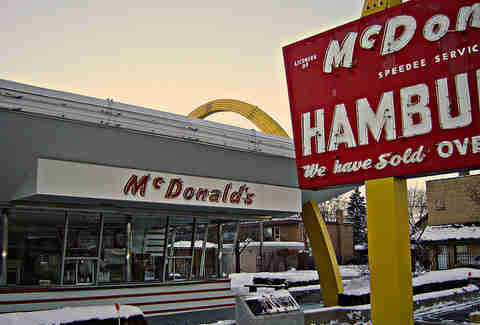 You may know that Illinois is home to the original McDonald’s, but did you know there’s a museum dedicated to the original store opened by Ray Kroc in 1955? The museum is a recreation of the original McDonald’s Restaurant opened in Des Plaines, and was built using the store’s original blueprints. But no, they don’t serve Big Macs. You gotta go all the way across the street for that. 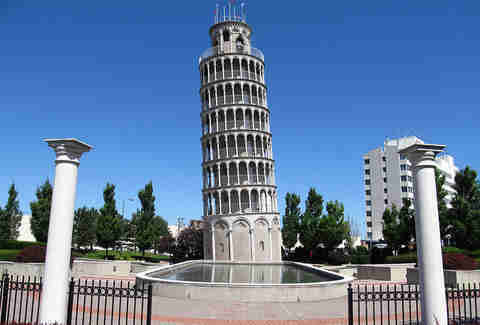 Niles is home to a half-size replica of the Leaning Tower of Pisa. Why? Apparently it was built in 1934 as part of a recreation park for employees of the Ilg Hot Air Electric Ventilating Company of Chicago. It also once featured a wooden toboggan run. So yeah, the boss was pretty cool. Today it serves as the site of a summer concert series and is surrounded by fountains and a 30ft pool. It’s also in need of over a half-million dollars in repairs. 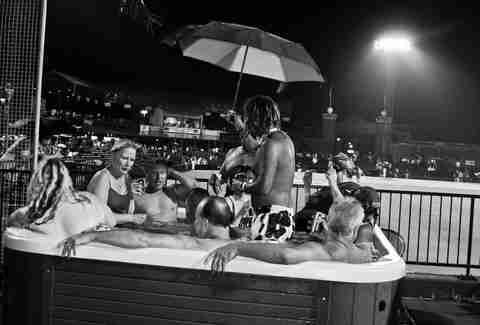 Jay Gentile is Thrillist’s Chicago Editor and, for a minute, he was wondering why the Cubs don’t add a hot tub to the bleachers as part of the Wrigley renovations. The minute has passed. Follow him @ThrillistChi.